The first time I saw a coyote in Chicago was more than a decade ago, turning one night onto Rockwell off of Addison, snaking past the darkened academic Gothic hulk of Lane Tech. I was taking the shortcut to Jewel to buy beer, I presume, heading into the Riverview shopping complex that was a melancholy reminder of the amusement park that once stood there, tilting madly along the river. This night was before the city renovated the area, installing a boathouse and river access. The backroad there was weed-lined and vaguely fetid, abutting a field that stank of sewage. It seemed tired and forgotten, a little part of the city lost in the bewildered and inchoate transition away from a striding industrial power. There in my headlights a ragged dog jump-trotted across the road, lanky and shambolic. It looked at the car with barely a passing glance, and I realized that it was a coyote: low to the ground, more feral, and more determined than some stray. It was one of those vertiginous moments where you can’t come close to vocalizing the disconnect. It all seemed to fit though: the weedy stink of that stretch of street, the memory of industry, the ache of grubby commerce standing dully in an parking lot filled with torn-down nostalgia, and this creature that just didn’t belong; a creature, I naively thought, of the woods and the moon-howling sands. It was a dizzying reminder that just as there are no true separations in time, the distinction between the animal kingdom and ours is equally illusory. No matter how many times it happens, like with a fox on a full-moon summer night, it is still disorienting and indescribable. 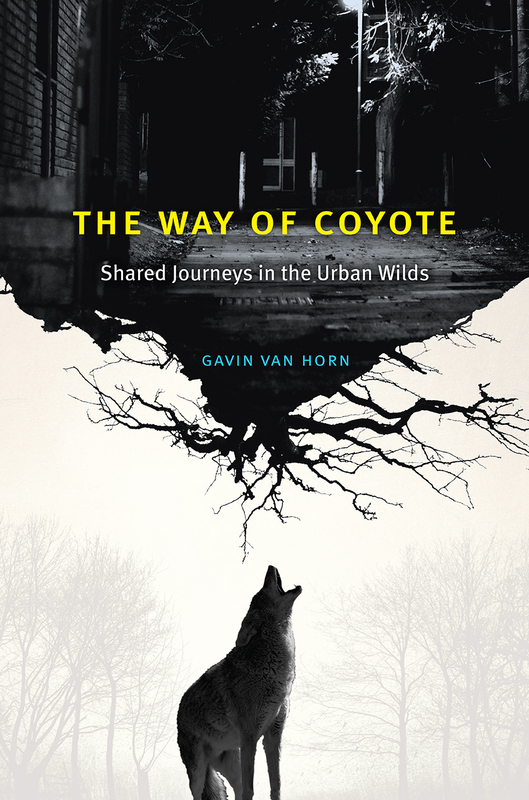 Those sorts of encounters are at the heart of Gavin Van Horn’s The Way of Coyote, (University of Chicago Press), which I called last month one of my favorite books of 2018, and whose impact on me has only grown (and who actually can describe these encounters). Van Horn, who works for the Center for Humans and Nature, crafted a book that doesn’t so much break down barriers as point out that these barriers never existed, no matter how much we try. Van Horn, a fellow Evanstonian, shows himself in the book to be an inveterate walker, someone who moves along seeing the world at the ground level. At this level he sees that our buildings and sidewalks and river paths are more than an imposition onto the animal kingdom: they are actually a part of it. One animal we get to see quite a bit of is the peregrine falcon, who live in urban environments, reaching speeds of over 200 miles per hour as they swoop and dart for food, much to the consternation of local rodent populations. Once on the verge of extinction, they have made a remarkable comback, thanks partly to the conversation efforts of some individuals to whom the book introduces us. Now you, as a brainy human, might be thinking: idiot birds! A skyscraper is nothing like a cliff. Cliffs are rocks, you dumb bird! Well, first of all, settle down. Second of all, from the bird’s point-of-view, so what? A falcon doesn’t enjoy a cliff because it prefers its homes to be eroded; rather, it’s because a cliff gives it advantages for food and shelter. If a skyscraper- or a city full of skyscrapers, with uncompromised vantage points- does the same thing, then the bird adapts. It barely even has to. The city just works. It’s actually a radical concept: can a city, built by and for humans, with contours and structures dictated by the pressures of population and the maw-shoveling dictates of capitalism’s endless grind, work for other animals? Is that even possible? Throughout the book, Van Horn time and time again says “yes.” He says it with an expression that points out that it isn’t easy, but also with the quiet knowledge that it is already happening. He sees traces of beavers along the North Shore Channel. He finds animal activities in TV graveyards. He spots the ghosts of coyotes in human graveyards. And in the book, Van Horn introduces us to a large cast of people who are working to restore natural pathways in the city and urban areas, whether through restoring prairies on a large scale of neighbors banding together to help bees find food yard by yard, block by block, until they can fly across a city that has only recently sprung up in their ancient paths. While the book is decidedly first-person, and Van Horn takes on on his jaunts and kayak trips, he lets other people tell the story. We hear from luminaries like the great Aldo Leopold and the unknown activists dedicated to helping other species. 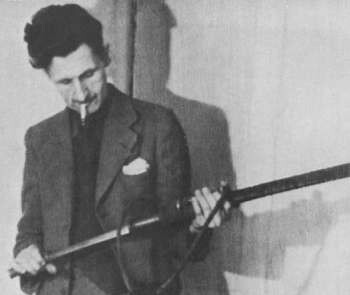 He’s a wry story-teller and gifted writer, capable of subtle sentences whose power reveals itself unexpectedly. (“Why do I walk? I press my toes against the edges of that question”) The book is also deprecatingly funny, with a particularly good bit when he is sinking in mud in the North Shore channel, as concerned about the embarrassment as he is about actually drowning. My mind refocuses on the present. Gelatinous good oozes between my toes and I descend a few inches farther. Is there a bottom to this? I wonder. Who’s to say how deep the goop goes- beside the white egrets, who ignore my plight, stepping gingerly atop the sludge with enviable stilt legs and hollow-boned bodies. My bones will be hard to find in a few minutes. I wish for a pith helmet- my cartoon-based version of what remains of a British explorer caught in Amazonian quicksand- so next of kin can locate me once I’m fully submerged. At least I will have saved them a trip to another continent. I am standing with one leg mired in a tiny tributary of the Chicago River, and the river is doing its best to absorb me. What’s striking is the uncertainty, the inability to really know the depth of the goop. It is just a “tiny tributary”, a man-made slop channel just now sprung back to life, but that doesn’t matter. It can absorb someone, and they can drown surrounded by impassive egrets. The possibility of death only exists because the river has come back to life. That it has is partly due to the efforts of conservationists and city planners, but partly because, well: it is a river. Mud doesn’t care about intent; it forms when dirt hits water, and can create a sucking terror no matter what. The egrets are clearly happy that the Channel is clean, even if they don’t show that gratitude by throwing a goddamn rope or something. Because for them, this is now a pathway. Pathways are key to the book. Our sidewalks and streets and buildings and highways and our plows and shovels and sewers have interrupted ancient pathways. Bees and butterflies and birds are confused where to fly on inherited migration paths. Ground-based animals have to deal with the terrors of the roads just to find food. Open space is interrupted, parceled off, relegated to a patch of strange color and odd-shapes on a gridded map. That’s not the way it should be, and cities are beginning to recognize that. There are more attempts to link up habitats, create ways for animals to move from zone to zone. 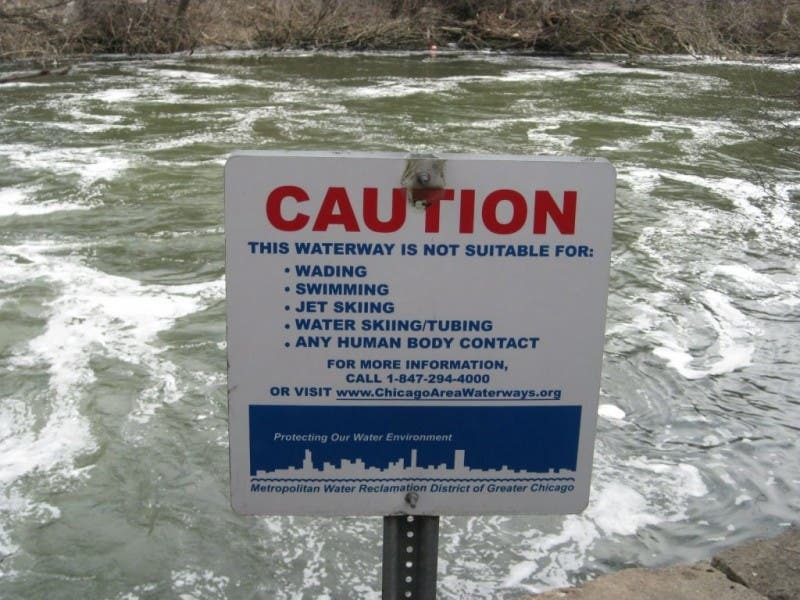 Whether that is by restoring waterways like the Chicago River or just providing bridges and tunnels and walkways, cities are linking open spaces. That’s for every animal, including humans, and I think that’s the point of Van Horn’s subtitle, “Shared Journeys in the Urban Wilds”. We’re in these cities together, these unnatural aggregations, these dense and pulsing and terrible and wonderful zones. They are often indifferent to their own citizens, much less any other species. Cities with this size and noise and intensity are incredibly new to the human experience, to say nothing of their eye-blink appearance in the natural world. We all need to learn to adapt. When settlers came to America, they adapted to the land by attempting to transform it and everything on, under, or over it into capital. Passenger pigeons, whose flocks were the size of counties, went extinct. Cities went up without any care for their impacts. The land was for taking. The animals were for eating or killing so as not to interfere with our plans. We’re still doing that, of course. We still put capital over things like clean water and human rights, everywhere. But there is a new ethos competing with it. We are adapting. Adaptation is everywhere in the book. How do we adapt to the weight of our disruption? How do we adapt to the weirdness of our cities? How do we adapt to the disconnect we’ve had with nature, of which we’re an indelible part? If we can drown in the mud, of course, we are a part of the natural world. For Van Horn, it is about ethics, or creating new mindways, new journeys in our own lives, and a new way of seeing the world. New patterns of thought about the purpose and possibilities of a city can create new corridors of life in the urban landscape. Imaginative leaps across neural bridges may build the bridges between our lives and those of other creatures, and may compel us to demand corridors that repair the frayed weave of life-giving pathways throughout the city. Rewilding the mind can rewild our cities. While that’s important, to some creatures, that’s almost superflous. The coyote, the ultimate adapter to every landscape across the country, is learning how to exist in the city. It prowls and skulks and feeds. We catch glimpses of it. Even just today, a coworker, with a thrill in her voice revealing that recognizable breathlessness of experience and that instinctual, bright and nameless wonder in pond-green eyes, told me that she spotted a coyote running across Ravenswood before slipping alongside the tracks. It was another glimpse at adaptation. The coyote reminds us that we can adapt in the same way. The city is always changing: a fetid field along a sluggish, industry-wrecked river can become a spot of leisure and activity. An amusement park gets torn down, its laughter becoming a memory, fading into photographs and stories of streetcar journeys. A massive school can stand still as the world moves around it. Our minds have to adjust to these changes, even if they do so while clinging to a weeping nostalgia. We long for things that are gone, which might explain why seeing the coyote disturbs and excites. These things aren’t gone. The world we wrecked is figuring out how to live with us. If we can take those lessons, and share that journey, we might be able to live with them. We just might be able to live with ourselves. This entry was posted in Uncategorized and tagged book reviews, water. Bookmark the permalink.